We have been alerted to this innovative festival by an old contact of ours, Vic King, who runs music promoters ‘Vaguely Sunny’ on the Isle of Wight. Vaguely Sunny has a small stable of singers and songwriters including melodic harp master Rachel Hair and golden-voiced Holly Kirby. 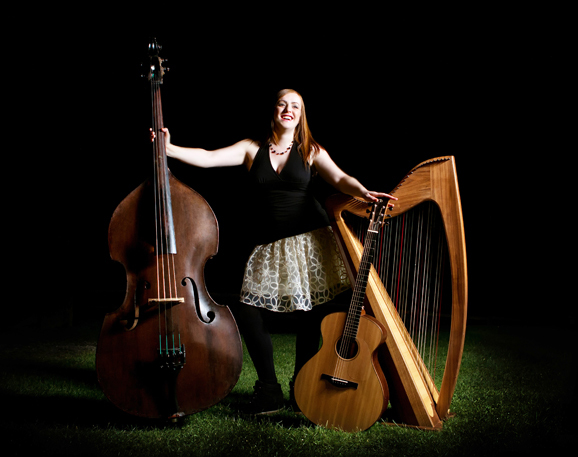 Harp on Wight is a very interesting new music festival which focuses on the harp and will be taking place at various venues in Ryde on the Isle of Wight. It will consist of a series of concerts and teaching workshops featuring nationally recognised harpists from both folk and classical music. The teaching courses will be open to all levels of ability from absolute beginners to advanced, and to all age groups from seven years upwards. The Festival will also include an exhibition of harps by national harp manufacturers, and a one week course where attendees will be able to make their own harp is also planned. In addition, there will be a competition for a new piece of harp music inspired by the Isle of Wight. The competition will be divided into two age groups, under and over sixteen, with a cash prize for each.